Update (November 14th): The power-up has been updated and is about to be released, read this article to learn everything about the power-up. I'm excited to announce the start of the (limited) user test for our Trello power-up. This article describes how it helps you, how to set it up and what our thoughts are on the next steps. The power-up has been renamed from Placker to Projects and has therefore moved to a different position in the power-up list in Trello. We created a separate power-up when you only want to mirror cards: Card mirror for Trello. How will the power-up help you? The goal of the power-up is to make it easier for you to plan and track your cards by allowing you to set more attributes directly in Trello, and make it easier to open the Gantt or trackers directly in Placker from your board. Attributes are shown from Placker: Plan start date (editable), Status, Estimated effort (editable), Actual effort (editable) and Milestone. Card mirror status and link to the mirrored card, this helps you to easily navigate to the mirrored card. The card dependencies, with a link to the depending card and the status of the depending card in the card title. The card buttons to add predecessor or successor dependencies to this card. A predecessor dependency is a restriction on this card, set by another card. (e.g. : Another card should be finished for this card to start). A successor dependency is a restriction on another card, caused by this card. (e.g. this card should be finished for another card to start). This is the initial set of attributes, please let us know your feedback to understand what else you would like to see on the back of our Trello cards! Planning and tracking your work is now one click away, we have added two board buttons, one to open the Gantt chart in Placker to plan your cards, another to open the trackers in Placker. As we did not launch the power-up officially yet, it takes a number of manual steps to setup the Placker power-up. Just follow the steps below. Let is know if you need help as we're happy to jump on a Skype or google hangout call to help you get set! To add the power-up to your Trello Board, you need to go to the power-up admin page in Trello and add the Placker power up to your team. Here you can select the Trello team you want to add the Power-Up to. Note: You need to be an admin of the Trello team to add the custom Power-Ups to it. Now click the Create new Power-Up button. If this is your first time creating a Power-Up, you'll need to agree to a "Joint Developer Agreement" first. Click Save and your power-up will be available from your board settings. 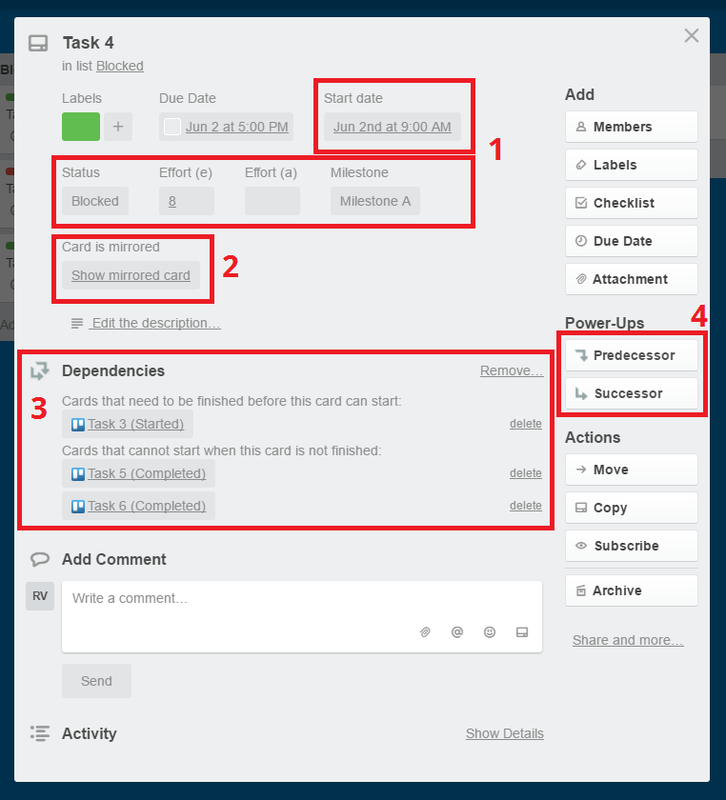 See the screen recording below on how we add the Placker power-up to the 'Placker' team in Trello. The next step is to activate the power-up on your board, to do this, go to the board that is part of the team where the power-up is added. Click on 'show-menu', then click on 'power ups' and enable the Placker power-up. The goal of this test period is to get your input, we would love to hear what you like, dislike and what ideas you have to extend the power-up further. (DONE) Improve the sing-in/sing-up/import flows.